Welcome to Nemo’s, an award-winning restaurant in Naples, FL that serves outstanding seafood in a uniquely adventurous atmosphere. Our restaurant menu features locally sourced, exquisitely prepared fish, plus delicious meats, fabulous desserts and specialty beers, cocktails and wines. Wondering where to make dinner reservations in Naples? 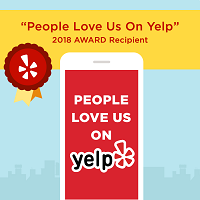 You won’t be disappointed in Nemo’s, a local and critical favorite, year after year! When planning to enjoy fine dining in Naples Florida, reservations are a very good idea — especially if you plan to visit us during the busy winter months. Book online now, to secure your table! The main dining room. Delight in the undersea-themed atmosphere in our main dining room, where steel walls, warm lighting and portholes transport you 20,000 leagues under the sea. Try our famous miso-broiled sea bass, a dish so delicious the New York Times called it worth a trip to Naples. The patio. Enjoy dining al fresco on the patio, and take in our sweet gulf shore breezes. We’re only a mile away from the sea, as our menu will remind you. Get out of the heat but feel the sway of the palms on our private patio! The N Counter. Experience amuse bouche in an entirely new way at The N Counter, where you’ll also have access to our full menu. 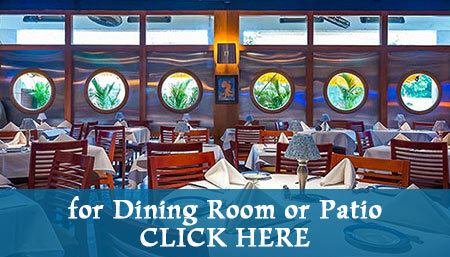 Sample delicious cocktails and small bites, order dessert or spend an hour or two and order our famous seafood. When you dine with us at USS Nemo, whether it’s for lunch or dinner, wherever you are seated, the food will always be fresh and delicious and the service superb. Whether you’re celebrating a special occasion or you’d like to take a colleague for lunch — or you’re ready to relax on vacation with drinks and small bites at The N Counter — we’re always happy to welcome you at Nemo’s. 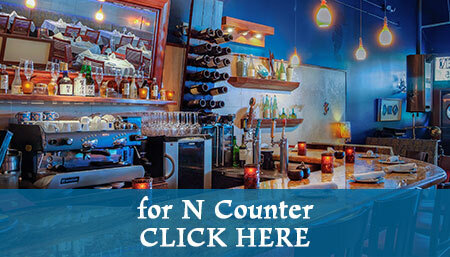 Book online to make a reservation in our main dining room, patio or The N Counter. By respect for our guests, only complete party will be seated. Make sure everyone is there before checking in with the hostess. wherever you are seated, the food will always be fresh and delicious and the service superb. We look forward to welcoming you to our Naples restaurant soon.